From #1 New York Times bestselling author Brad Thor—a brilliant thriller as "current as tomorrow's headlines." Scot Harvath has exactly the skills the CIA is looking for. He's a former US Navy SEAL with extensive experience in espionage. Working for a private intelligence company, he will provide the CIA, and more important, the President, with absolute deniability. But deep within the Russian Caucasus, Moscow also has its own special kind of operative. As a child, Sacha Baseyev endured an unimaginable horror. Today, he lives and breathes for only one reason—to kill. And he will kill as many Americans as it takes to accomplish his mission. When a clandestine American operations team is ambushed near Syria, all signs point toward a dangerous informant in Brussels. But as Harvath searches for the man, he uncovers another actor—a rogue player hell-bent on forcing America's hand and drawing it into a confrontation deadlier than anyone could have imagined. 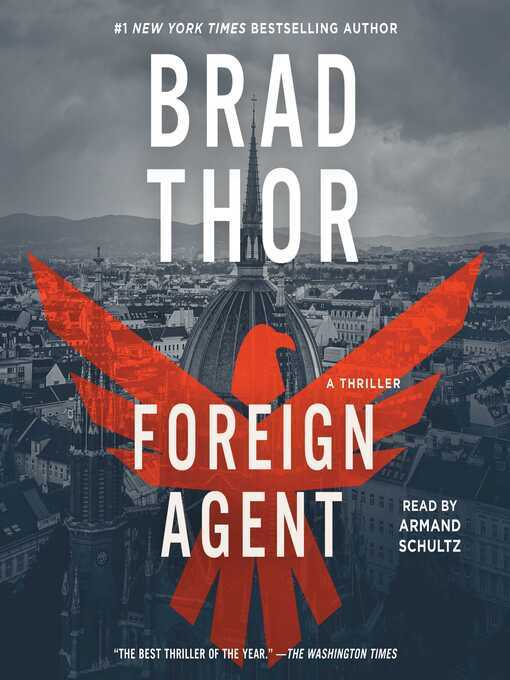 Filled with action, intrigue, and edge-of-your-seat suspense, Foreign Agent is a nonstop thrill ride that reaffirms Thor's position as the "master of thrillers."